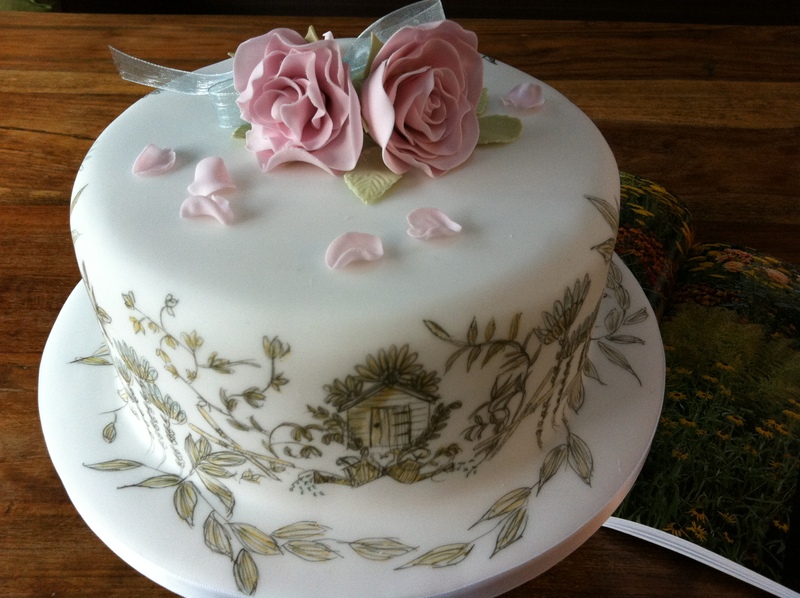 A vanilla vodka fruitcake, covered in fondant for a smooth finish and then decorated with free hand drawings (in edible ink pens) on a garden theme, topped with handmade sugar roses. 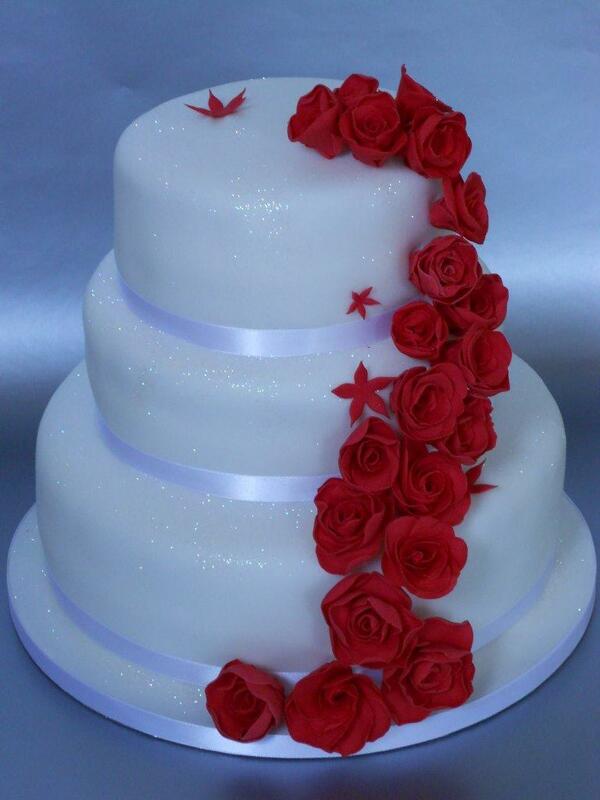 Made with cascading red handmade sugar roses. 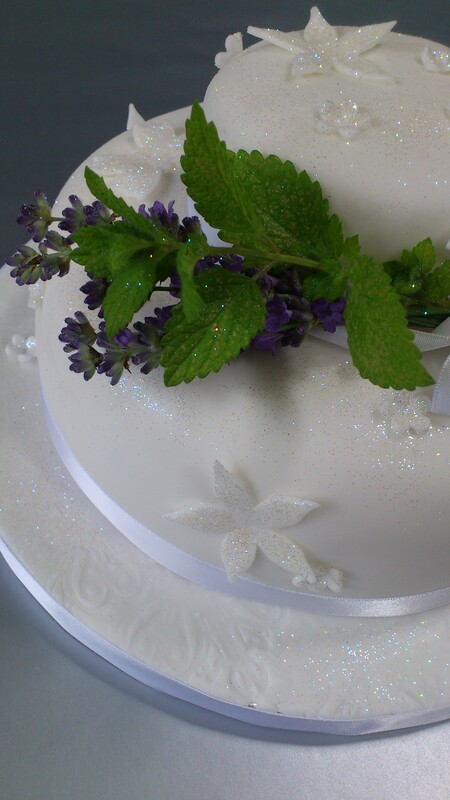 Embossed board, sugar flowers and butterflies completely covered in edible glitter.